A call to Marco Vandoni at Ocean Independence in Monaco brings news that he's signed the 30.2m motor yacht Event for sale. 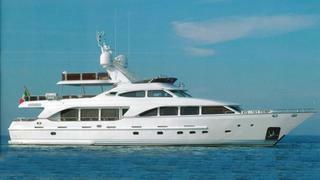 Built by Benetti in 2006, she features an interior by Versace and was refitted with new upholstery in July 2011. Accommodation is for eight guests in a full width master suite, VIP stateroom and two twin cabins. Twin 1000hp Caterpillar engines give Event a cruising speed of 15 knots. Lying in San Remo, Italy, Event is asking €6,500,000.